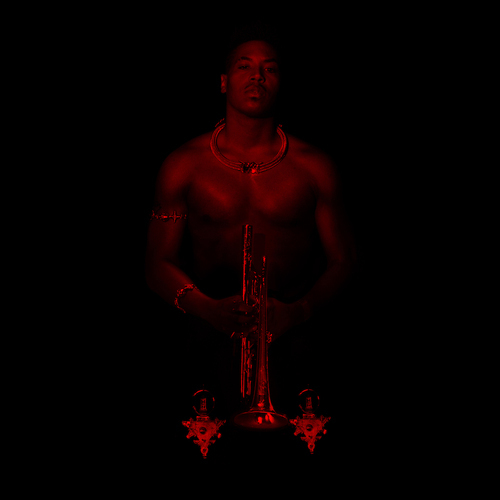 Christian Scott aTunde Adjuah | Ruler Rebel - TheUrbanMusicScene.com | Music Reviews! New Orleans born and bred musician Christian Scott aTunde Adjuah gives a total new meaning to the word, stretch. In 2015, the now 34-year old jazz trumpeter released an album entitled Stretch Music. Furthermore, Stretch Music serves as Scott’s subsidiary of record label Ropeadope. Essentially, the Grammy-nominated musician is currently, and has been, stretching the boundaries of jazz for years. Better yet, he’s stretching musical boundaries, not merely confining himself to jazz. His latest album, Ruler Rebel, is incredibly ambitious, incorporating trap music, West African, and New Orleanian Afro-Native American music. By no means is Ruler Rebel your standard jazz album. Examine Scott’s background and discography up until this point, and the eclecticism of Ruler Rebel and Scott himself should come as no surprise. Ruler Rebel was produced by Scott and Chris Dunn. Scott also serves as an executive producer alongside Louis H. Marks. Interestingly, Ruler Rebel is one of three albums he has planned for 2017! Opener and title track “Ruler Rebel” stretches the ear from the jump. “Ruler Rebel” commences with an enigmatic backdrop, that feels more at home in urban contemporary music as opposed to jazz. Nonetheless, the “rebel” himself adds a sense of familiarity upon his entrance, flaunting a beautiful, spirited, muted trumpet tone. Even so, his willingness to bend continues to shine and stretch, thanks to rhythmic hip-hop beats. Scott follows “Rebel Ruler” with the busy polyrhythms of “New Orleanian Love Song.” Even with the driving quality of the record, Scott spoils with a luscious, romantic tone, accompanied by piano (Lawrence Fields). Groovier is the remix that follows, which once more embraces an urban palette of sounds. “New Orleanian Love Song II” has incredible crossover appeal, making jazz cool to an audience who might ordinarily embrace it. All in all, Christian Scott aTunde Adjuah delivers a home run with Ruler Rebel. With his vision encompassing trap music, West African, and New Orleanian Afro-Native American music, he successfully incorporates all on this eight-track effort. Ruler Rebel is a success because it is a fearless effort, not restrained by any stylistic labels. More musicians should join this innovative star in stretching musical boundaries.